I'm happy to show you our farmhouse, and I hope to meet you personally soon. The farmhouse is on 12 acres of land all around the 18th century house. In the farm there are vineyards (where we produce local wines called Sangiovese and Trebbiano), fruit trees (as peaches, apples, pears, plums, pomegranatates, figs.. etc) a vegetable lot and the rest of the farm land is coltivated with different crops every year. The north side of the farm follows the Marecchia river. Close to it there is a 20 km cycle track. It begins form the beach and arrives to Verucchio town in the countryside. You can walk, ride bikes or go on horse back. The house has different size rooms suitable for couples or family. Every room has its private bathroom. 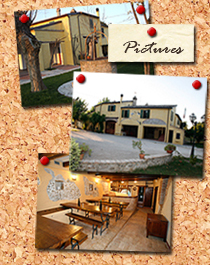 Here at Le Meridiane farmhouse we aim to provide a pleasant stay. 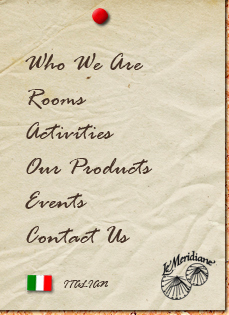 Le Meridiane is the result of our passion and interest in our guests. Living in a healthy, stress free environment as close to the natural life cycle as possible.